Is it a shed, a pavilion or a granny flat? This shiny lock-up living space by Atelier Chen Hung sits curiously in the garden. Low-maintenance skin of concrete and galvanized steel. They used to be called granny flats. 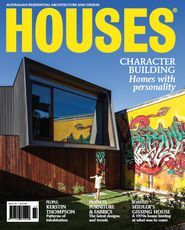 Many architects prefer to inscrutably dub them “multi-generational accommodation.” James Hung, however, anticipates that Atelier Chen Hung’s (A-CH) detached addition to an existing timber cottage in Keperra, Brisbane, is likely to receive a number of curious monikers from onlookers. James and fellow director Melody Chen didn’t set out to shock, but their bold, experimental and provocatively conspicuous work isn’t likely to fly under the radar. 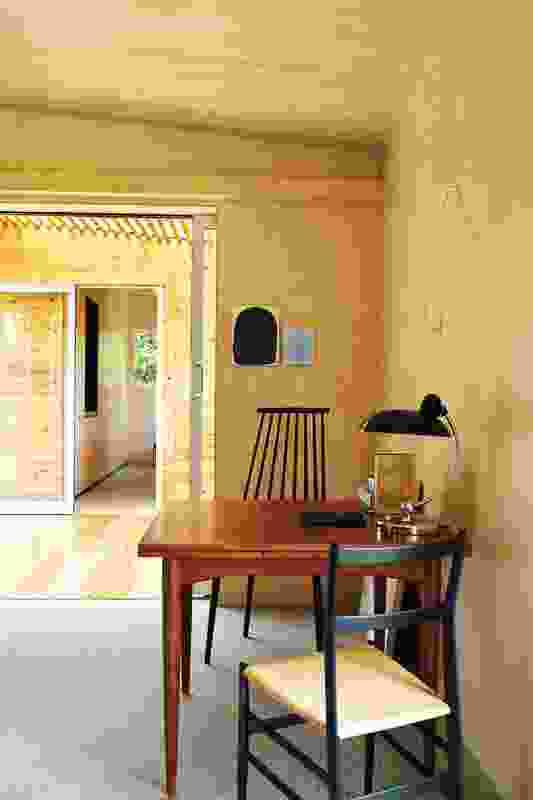 A-CH began life in a home studio in Sunnybank, a Brisbane suburb that lies beyond the traditional inner-city locations of most boutique design practices. 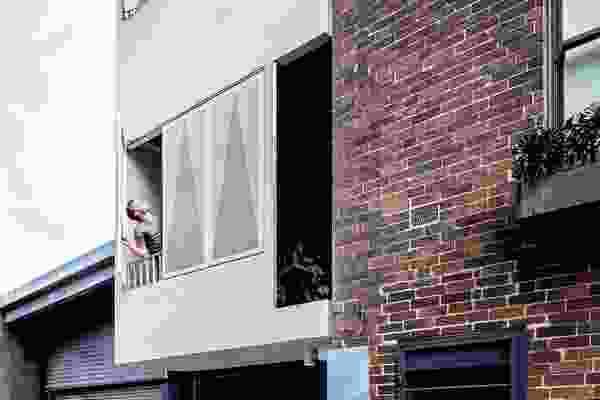 Rather than romancing the timber Queenslander of the inner fringe, A-CH was immersed in the brick-and-tile outer suburbs, drawing upon both local and international influences to help inform its growing body of built work. Now, firmly entrenched in a second-storey atelier in inner-city West End, A-CH pursues a variety of projects, from multiresidential to temporary installations. The practice even converted its street-level entry passageway into a compact gallery space that showcases a roster of aspiring local artists. 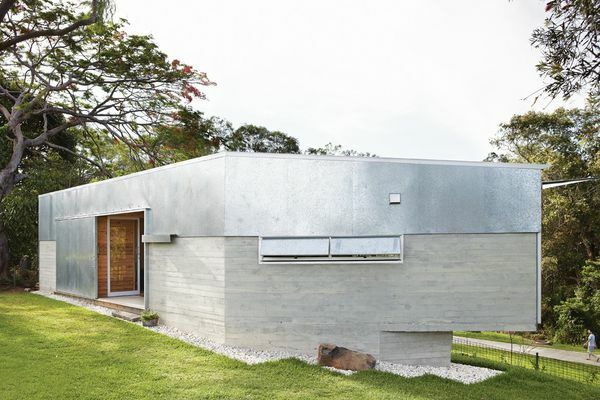 However, like many young Brisbane practices, small-scale residential projects continue to constitute much of A-CH’s output; unconventional responses to these residential commissions, like the Keperra House, are becoming its specialty. The journey to Keperra from inner-city Brisbane encapsulates much of the quintessential postwar suburban landscape of the city. The surrounding streets are lined with single-storey timber bungalows interrupted by the occasional masonry cottage. Most lawns are still kept in common with low fences and austere landscaping. 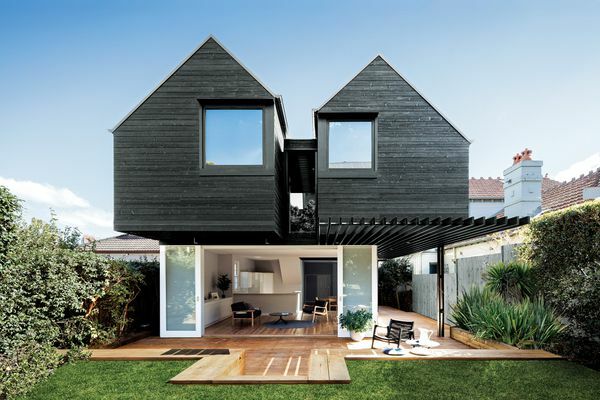 Tucked in behind one such unassuming timber house is A-CH’s backyard addition. Given that it is built on a shoestring budget in a workaday suburb, it might have been easy to be less ambitious about the potential for the project. Yet, with its deftly sculpted attitude, and perched atop a steep embankment and clad in board-marked concrete and galvanized steel, this building does not cut a retiring figure. The rear elevation provides an ideal spot for taking in the view. 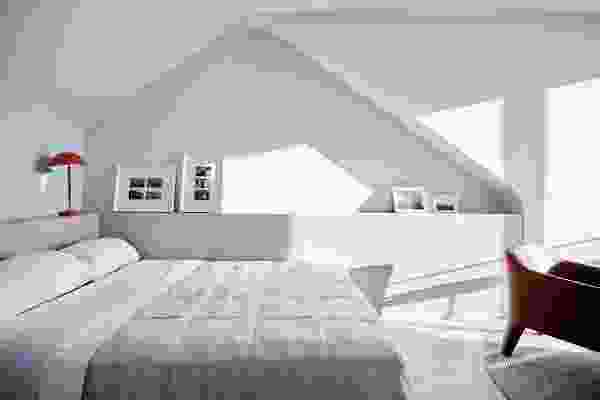 Much of the design and documentation of the project was complicated by the client’s travelling for work. Indeed, the low-maintenance skin suits the frequent absences of its occupant, who required a house that could be locked down. 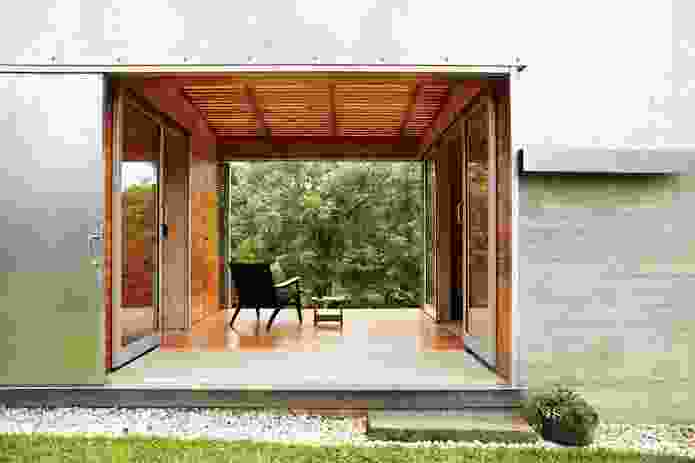 The building can also be unpacked like a suitcase: large sliding doors dramatically transform a secure bunker into a light-filled, permeable pavilion. In contrast to the robust exterior, the interior of the building is enveloped by the warmth of its plywood linings. Subtle design gestures lend the building an affable feeling that further belies the severity of the exterior. Doorsills along the rear elevation can be appropriated as improvised benches, where leg-dangling and coffee-drinking might unite with the voyeuristic indulgence of surveying the walking track of the creek reserve below. Sliding doors open up the secure bunker to the light. Melody explains that their addition was conceived as an inhabited garden wall, a building that structures the landscape as well as exploiting nature as a backdrop. 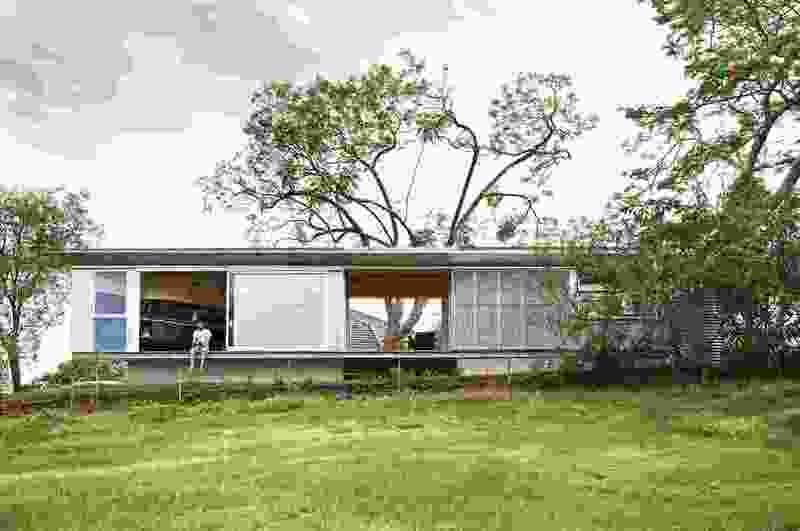 The building, by virtue of its careful placement on the site, creates two “new” landscapes where once the outdoor space was vague and indistinct. The first landscape is a private courtgarden between the existing house and the addition. The courtgarden reinforces a sense of autonomy for each dwelling; it is a kind of piazza or neutral public territory where the respective inhabitants can come together. The second landscape is the creek reserve, an unkempt and far larger wilderness beyond the back fence. The new addition actively engages and effectively appropriates this wilderness as its own private forest. Strangely, of all the houses that back onto the creek reserve, A-CH’s building is the only one that attempts to do this. Although this is a relatively small and simple building, the plan has been resourcefully configured. 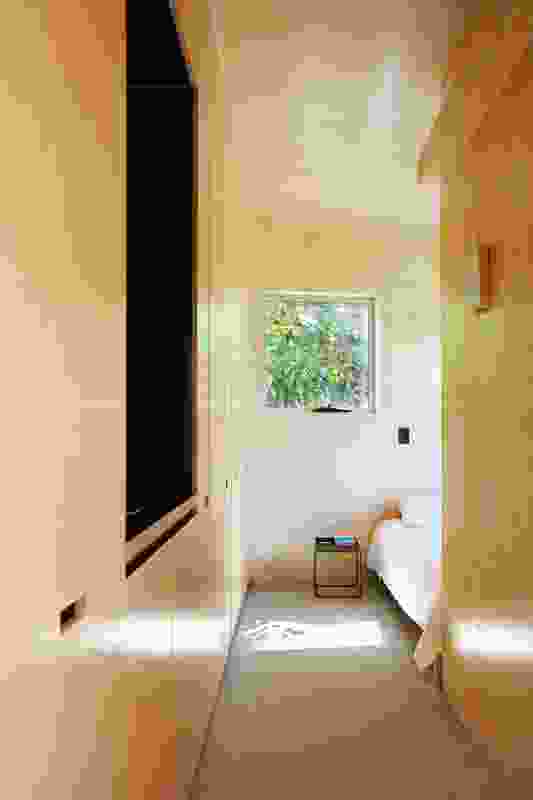 A slender, wall-like string of interior rooms emphasizes the immediate proximity to surrounding foliage. A roofed deck creates a void through the solid mass of the building, framing the lush foliage of the creek reserve beyond like a giant window. An inflection in the wall of the kitchen “bends” the interior volume outward to meet the view. 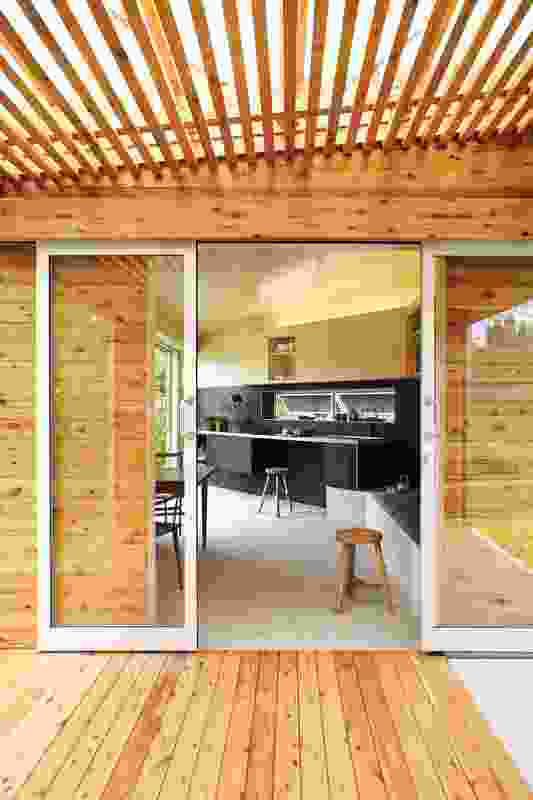 Equally as important as the large openings is the careful positioning of walls for privacy. The intimate dining nook is comfortably located between two solid wall sections. 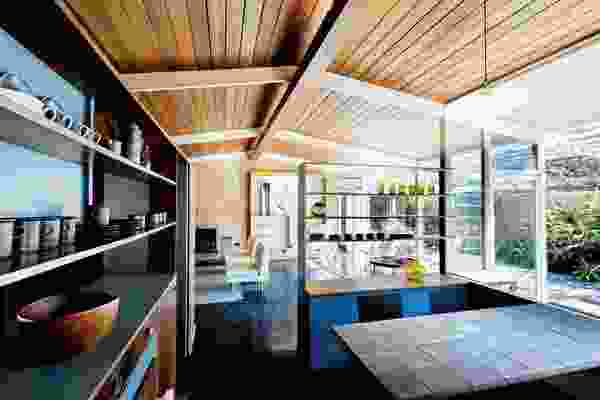 However, oblique views through the adjacent kitchen and roofed deck ensure that the dining space feels neither cramped nor remote from its setting. To call A-CH’s Keperra House a granny flat wouldn’t be quite right. It adds functional amenity to the property, permitting more flexible social arrangements such as sub-rental to students, conversion to a home office or even multi-generational and non-nuclear family scenarios, but it ultimately achieves much more than this. The Keperra House is a beautiful, life-affirming slice of contemporary architecture. Keperra House won a Small Project Architecture Award at the 2013 Queensland Architecture Awards. A bend in the kitchen wall directs the space towards the view. Plywood linings create a warm interior. A string of rooms punctuated with a roofed deck.